Google is celebrating the holiday early. Google is making the holiday cooking for you even easier this year. With two days to spare before you serve up that turkey and all those lovely sides, the search giant is taking away the surfing from finding how to cook the perfect bird. 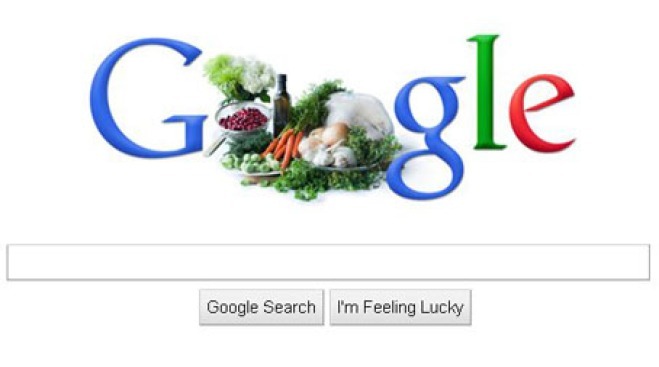 Google's famous doodle on its start page has been turned into a photograph of a Thanksgiving holiday meal. And the image doesn't feature just any random ingredients. It shows off handpicked ingredients by the Barefoot Contessa, Ina Garten. A click on the doodle will lead you to a list of recipes from the famous chef and TV host that are just easy enough for anyone still searching for the perfect combination of holiday ingredients.